No country or culture is more famous for it’s diverse array of spices than Indian. 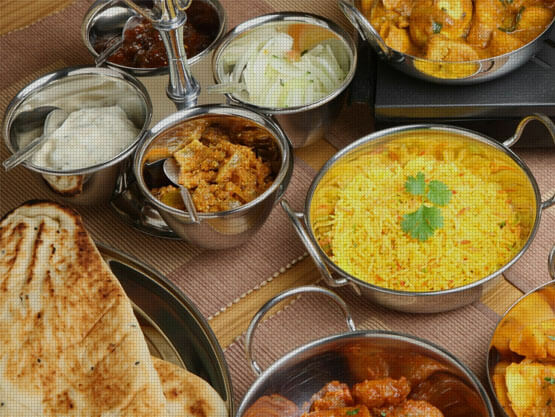 Enjoy a myriad of flavors from simple dishes such as daal, samosa and taali trays to more complex curries and biryanis. © 2014 Fine Foods Catering | Kingdom of Bahrain. All Rights Reserved. To The Top! To The Top!